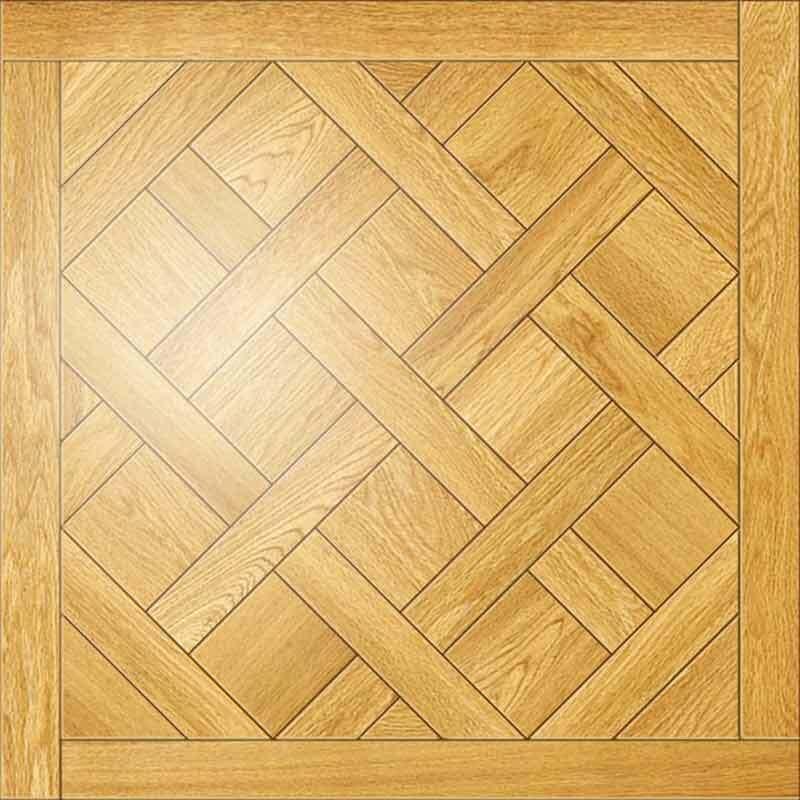 Classic French parquet pattern. 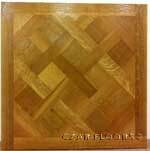 Single tile shown in plainsawn white oak. 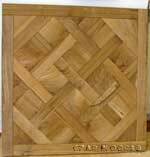 Frame plank size is 3" with squares being 5" x 5". 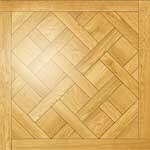 Also available with separate pickets, 3" wide placed around the tile.